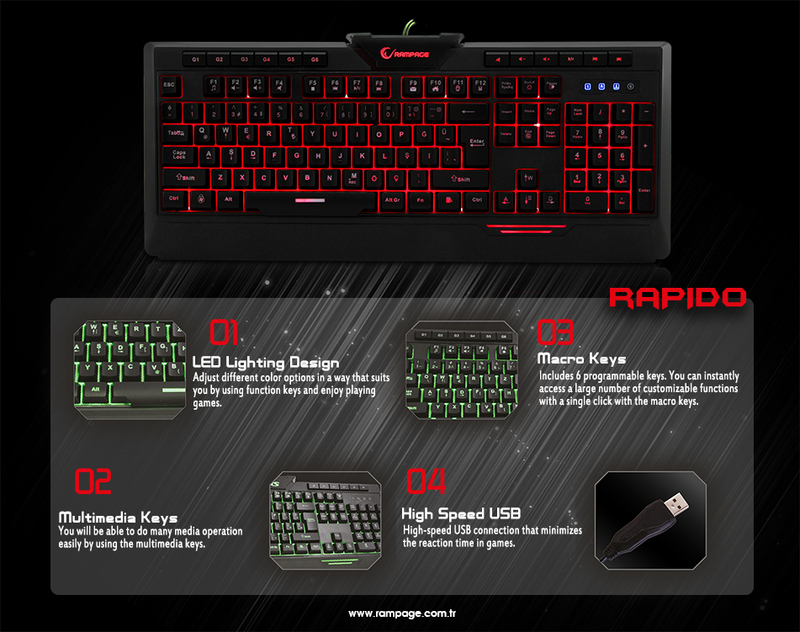 Everest Rampage Rapido KB-R03 Black USB 7 Color Lighting Q Multimedia Macro Gaming Keyboard; Everest Rampage, which has accomplished many successful accessories in the computer world. Designed to be perfect and in excellent shape. 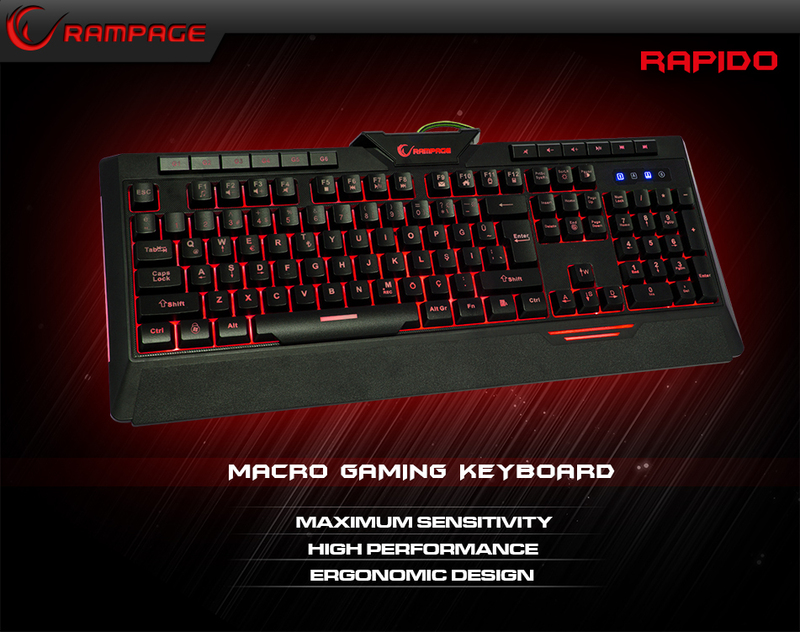 The company's name, Rampage RAPIDO, has a very different look than typical gaming keyboards when viewed from the outside. During the games, you can fully enjoy playing games by designing with 7 different LED lighting which is designed considering the taste of the players. Make macro assignments with macro identification and accelerate your process while playing! 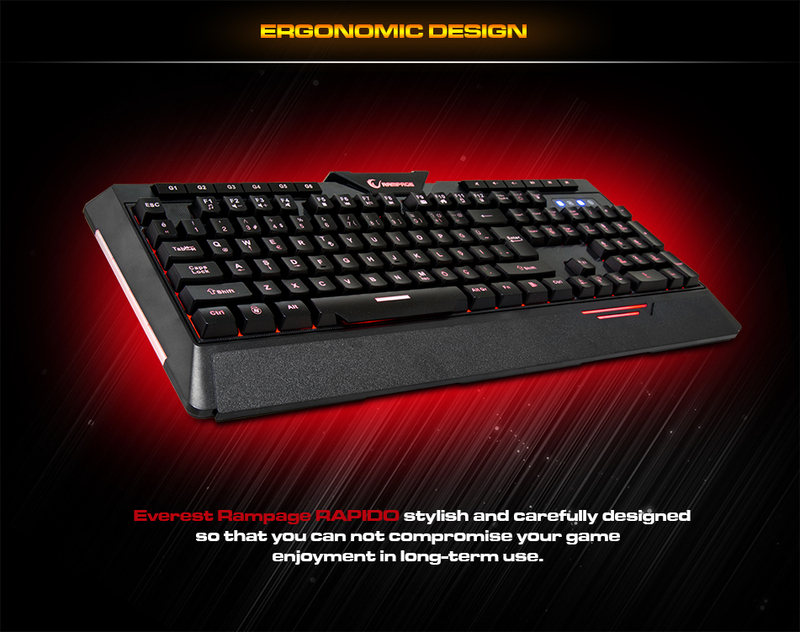 Everest Rampage Rapido KB-R03 Black USB 7 Color Lighting Q Multimedia Macro Gaming Keyboard; Ergonomically designed for long periods of use It is designed with care in such a way that it will not hurt. The Rampage RAPIDO has been designed to be stylish, compact and most suitable that not compromising your game enjoyment in long-term use. 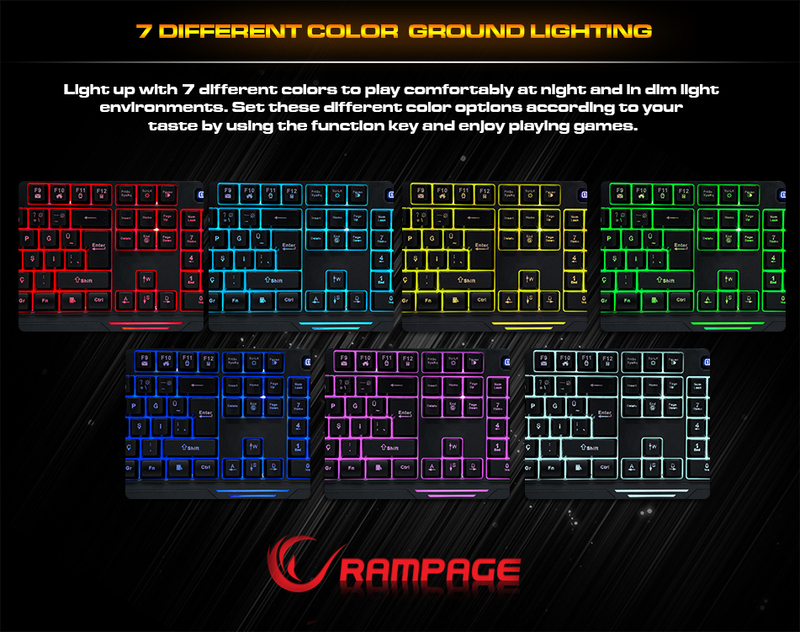 Everest Rampage Rapido KB-R03 Black USB 7 Color Lighting Q Multimedia Macro Gaming Keyboard; 7 Led lighting in different colors makes it easy to play in the night and dim environments. 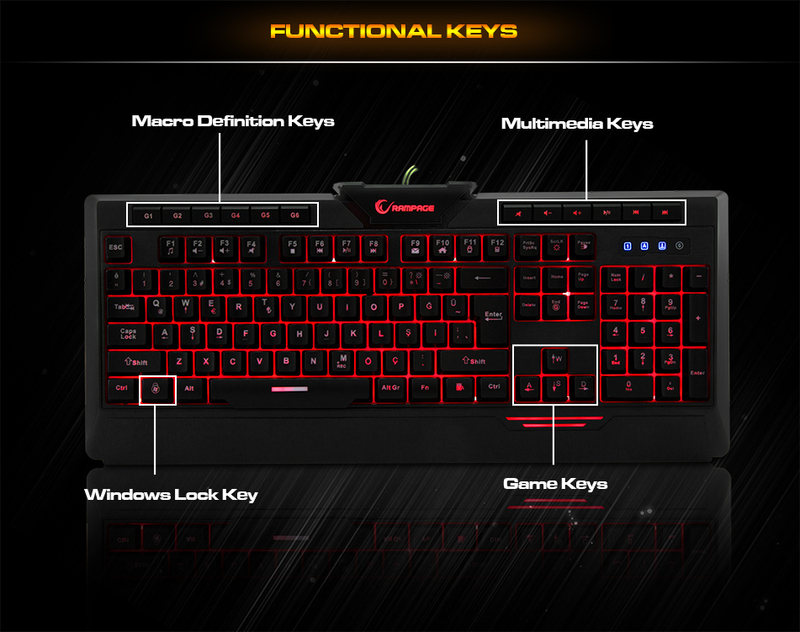 Set these different color options using the function key to suit your taste and enjoy the playing games.